Wisdom of Life. : Be careful with the unscrupulous agents. Have you ever been approached by life insurance agents, who told you that your current policies are outdated and need to be replaced with their new plans? Be aware! Most unprofessional agents who work with unethical practices would tell you that the old plans have weaknesses and defects, whereas their new covers serve you better. By relating the wrongful information, many new sales could be sold for their own personal gains, rather than benefited by their new clients. In fact, i believe most rookie agents or those who are new in the industry, might not know how the old plans work. Some of the old policies which i sold twenty years ago, could not even be explained by our customers support, what more by these new recruited agents. Ask them the current plans, they would be the experts on the benefits but they know very little on the old products. Not knowing the old plans, they revert to market to say the old is not practical in our current living. They have forgotten, the old plans were calculated with a cheaper rate of premium and the return of investment is greater, especially at a much later year. I strong believe, no life insurance plan available is considered as lousy, immaterial of the old or new version. Most important, the plans have to be sold according to the needs of our clients. A good reliable agent would never request his prospects or existing clients to surrender or change their current plans, unless it is really necessary when the benefits actually serve the customers. Many agents are efficient to sell the first policy to their clients but not efficient to review and recommend more policies to the same customers. To review and assess of insurance coverage for an indivdual needs experience and knowledge, and not many committed agents could stay long enough in this career to learn the final art of selling. 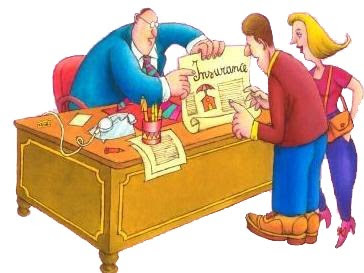 So the next time, if an unscrupulous agent requests you to change your existing policies, report and check with the insurance companies which offer you the covers. The truth is; old might be still good and new might not be good either. Food for thought - "It is possible that the scrupulously honest man may not grow rich so fast as the unscrupulous and dishonest one; but the success will be of a truer kind, earned without fraud or injustice. And even though a man should for a time be unsuccessful, stil" - Samuel Smiles quotes.